By employing a full range of modern techniques, supported by high tech equipment and tools. Are you worried that leak detection work might cause to damage your property? 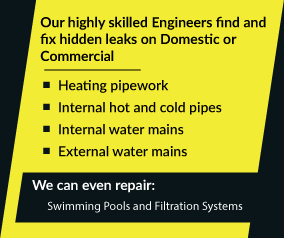 Then don’t be; when ADI are on site we fix leaks without causing any damage at all. Wherever you happen live in the UK then ADI will have a team close by who will help with your leak problems, no matter how large or small. 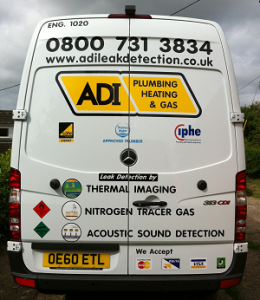 ADI are a major UK leak detection company. Call our hotline now on 08007313843!